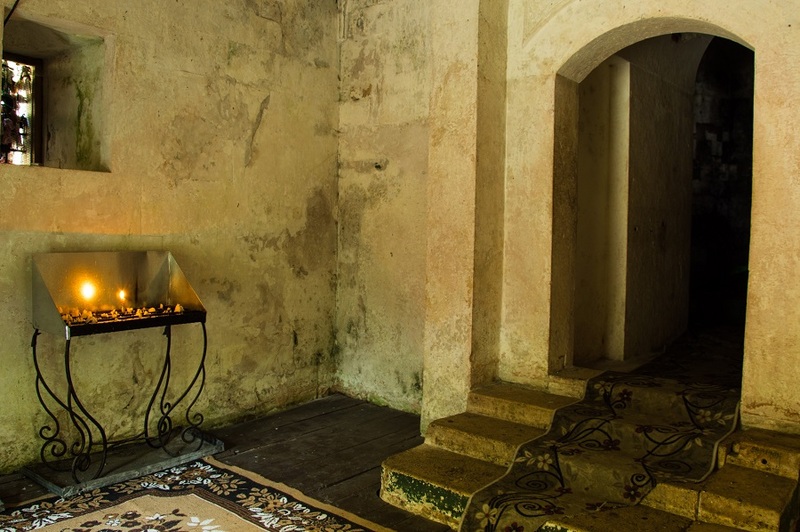 The challenge: Discover one of the most sacred spots in Bulgaria where people of all religions are welcome, although the site itself is an Alevi shrine. 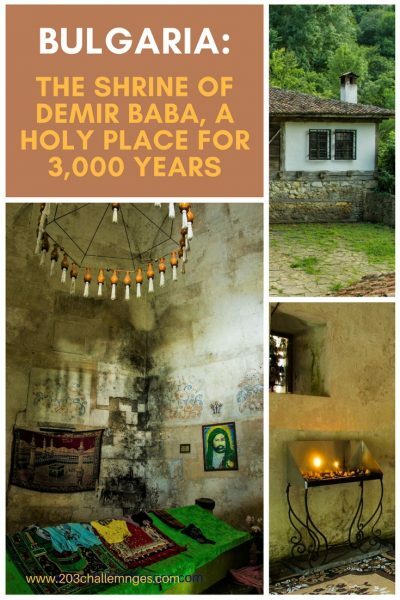 Demir Baba Тeke has been considered a holy place in Bulgaria for 3,000 years – since the time of the ancient Thracians. The peculiar shrine nestled in greenery welcomes everyone, regardless of their religion, to be enchanted by a number of local legends. Demir Baba was an Alevi saint, a wise man and healer. The Alevis are followers of an isolated branch of Islam, famous for its tolerance towards all other religions. For example, these spiritual people describe the difference between their religion and Christianity as no thicker than “onion skin”. The turbe is Demir Baba’s tomb. It is built between two rocks, which once served as a Thracian sanctuary. 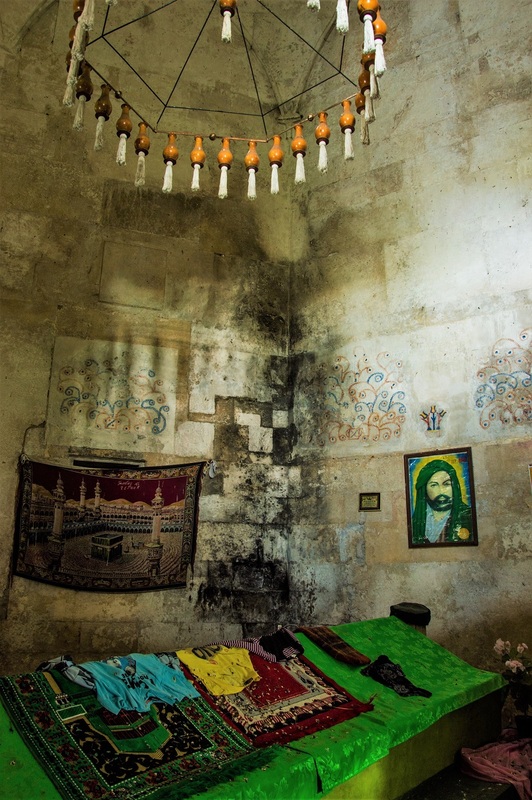 Check out the house next to the tomb, where a small museum offers information about the Alevis and the life of Demir Baba. You can participate in the many rituals that still take place here. Legend has it that in one dry year, Demir Baba touched a rock with his palm. Water started flowing from the rock, creating the spring that now bubbles in the teke`s yard. Wash yourself three times and drink from the water (it is clean). Then, on the way to the teke, tie a cloth to a tree branch for good health. Look for the rock to the left of the turbe; people believe that if they lie here with their head down, then stand up without using their hands, they will be healthy. 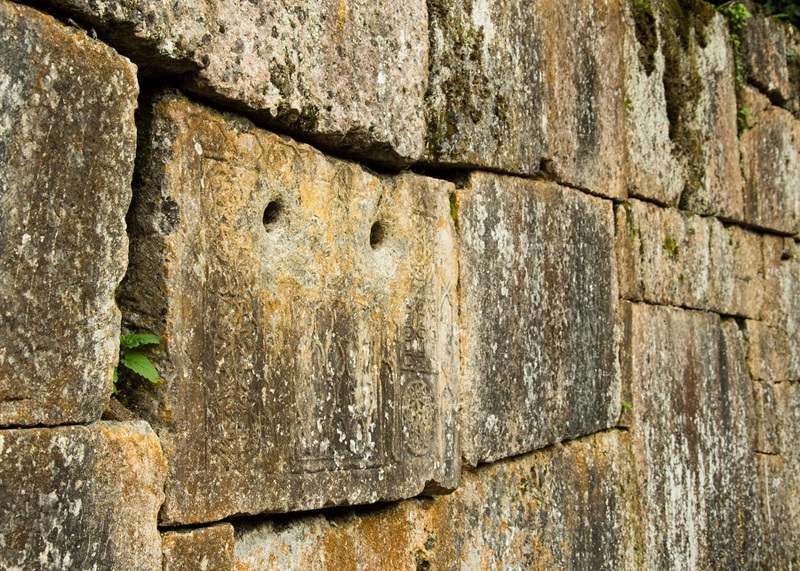 To the left of the building there is a wall with two holes. Stand a few steps away from the holes and, with your eyes closed, point to them with your index fingers. This tradition is known as “stabbing the witch’s eyes out”. According to the legend, only the righteous succeed. 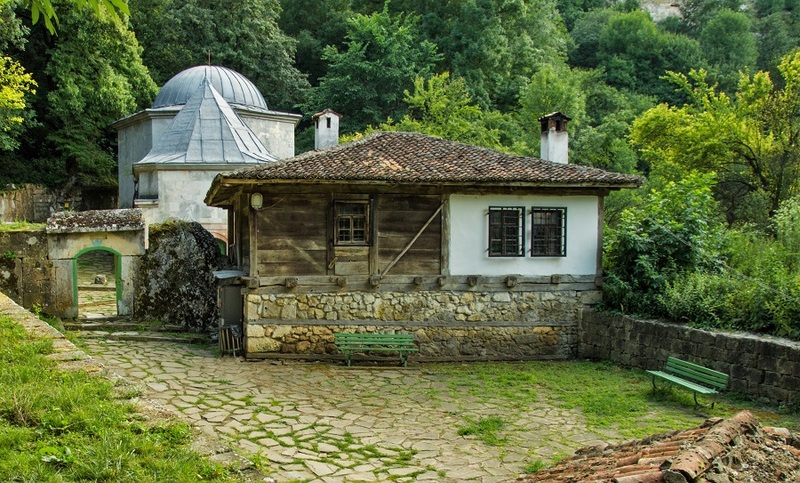 Demir Baba teke is part of Sboryanovo Archeological Reserve, which also includes a UNESCO world heritage site – the Thracian Tomb of Sveshtari. Also of interest in the region are the remains of Helis, an ancient Thracian town from the 4th or 3rd century BC, believed to have been the capital of the Getae tribe. Make sure you go to the plateau above the teke to appreciate splendid panoramic views. If you want to see everything, it’s a good idea to spend a whole day in the area. It’s not too far between sights, but it’s best to have a car or a bike. You can visit the teke at any time. 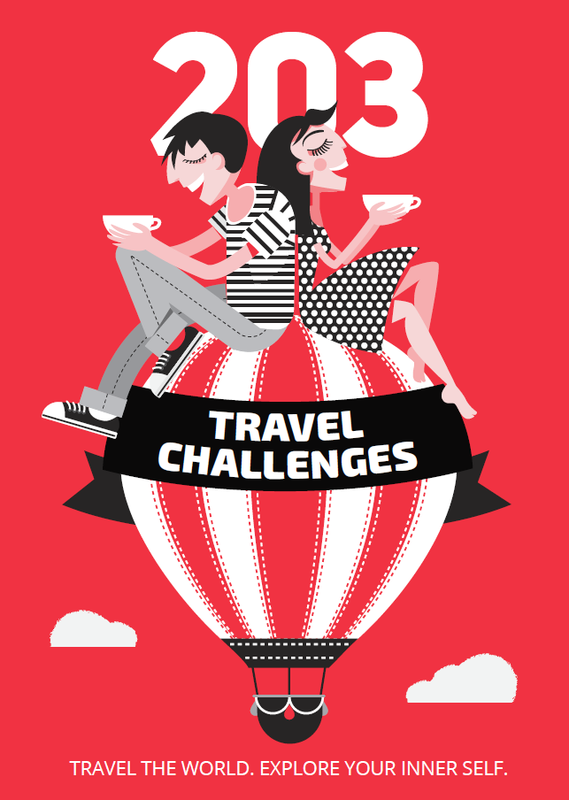 It is 12 km from the town of Isperih, passing through the villages of Dragomazh and Malak Porovets. The road through the village of Sveshtari is the same length – 1.5 km from Isperih you will see a sign at the turn-off from the Isperih-Ruse road. Park your car by the grass area, where you’ll see summer houses and Thracian excavations, then take the stairs down to the teke. For more information: Historical Museum of Isperih – +359 8431/4783, www.museumisperih.com (in Bulgarian only, you will have to use Google Translate), www.getika.com.